“Jumpsuit” is one of two singles released to promote twenty one pilots‘ fifth album, Trench; the other being “Nico And The Niners.” The single was first scheduled to premiere on some radio stations throughout the United States at 8:30am but was released 30 minutes prior on iTunes and the band’s YouTube channel. In an interview with BBC Radio 1 Josh Dun revealed that work for this song began towards the end of their last tour. Tyler came up with the bass riff and would play it during sound checks before shows. 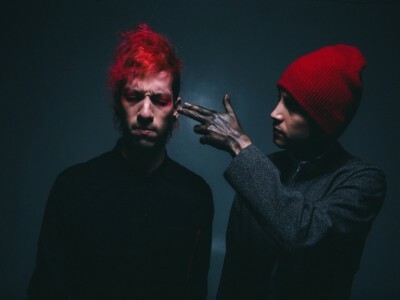 The song was chosen to be the first single off the new album following Blurryface since it continues the story.